For Every SuperStar in Your Family, There’s one in ours – Monster’s SuperStar Family of high performance Bluetooth speakers. The SuperStar HotShot is perfect for students heading back to class or any music lover on the go. 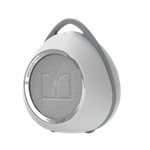 The portable, huge-sounding Bluetooth speaker attaches right to your bag or just about anything with its included carabiner hook. The integrated speakerphone allows for hands-free calling. Let your HotShot hang around with you. Includes carabiner to clip onto a belt, backpack, bike, etc. 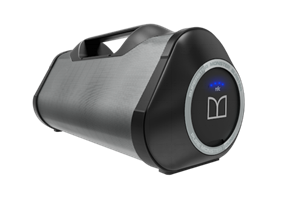 The critically-acclaimed Monster Blaster, the reimagined boom box for the 21st century, is the perfect gift for families who love to entertain, college students, musicians and dancers. This powerful, portable Bluetooth speaker features a bi-directional driver design that provides 360˚ of music. Add to that a down firing integrated powered subwoofer and the sound is extremely powerful.